This personalised name print will make a wonderful birthday gift for a beautiful little ballerina. It features a girl ballerina, from the ‘When I Grow Up…’ range, dressed pretty in pink. In the background two more ballerinas are dancing in a ballet studio. Personalised with the child’s name in large purple type, the print is available in A4 unframed, A4 framed and A3 unframed. 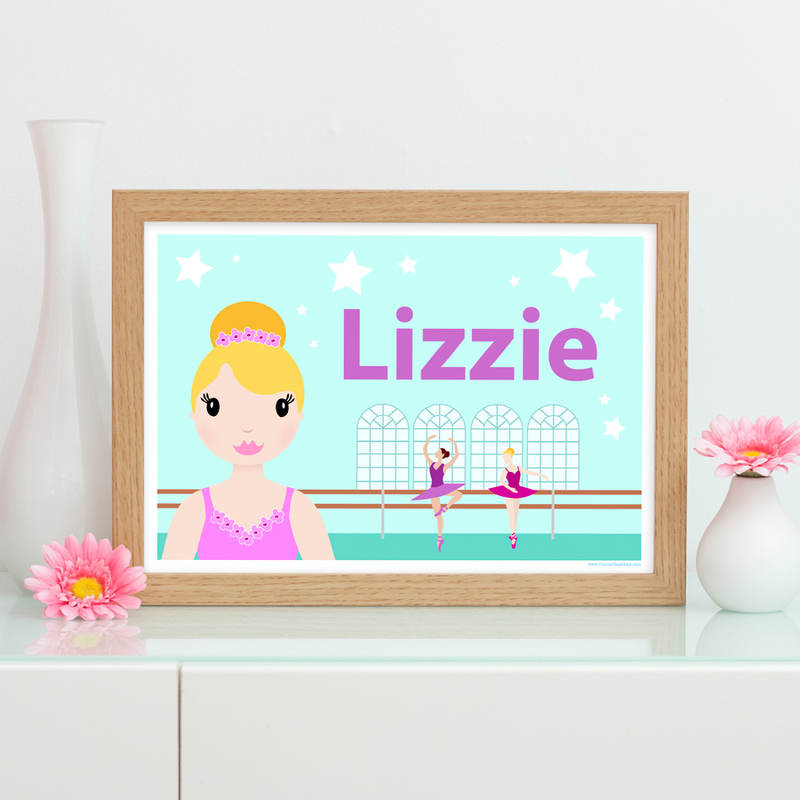 Be the first to review “Ballerina Girl Personalised A4 / A3 Name Print” Click here to cancel reply.